Do you ever feel like you are in a total funk? Like everything is just so....blah? I am definitely in Funkytown right now. Blog Funkytown. Over the past few weeks I feel like I haven't had much to say or even the time to say it. Sometimes I don't know what to make of my little blog. I want it to be fun and original, but sometimes my brain turns into a runny egg, and when that happens, I just can't find the ideas or the words to "create". What then? I want to blog more frequently, but I put so much time and energy into each post that if I don't think I can write it the way I want it, then is it even worth it? I don't know. Does any of that make sense? Does anyone else feel this way?? Of course, I am so grateful for each of my wonderful followers, especially the people who have been reading from the beginning. It's a wonderful thing having people on this journey with me. But....sometimes I write things and I feel like once I hit "publish" these words go out into the black abyss and I'm not sure they mean anything or if they have even been read. Is that silly? Does anyone ever have that feeling like you're living in a TV that's always on and you want to walk up to the screen and say "Knock, knock...anybody home??" Maybe it's just me. I honestly don't know why I'm sharing all of this with you...maybe in hopes that one of my fellow bloggers "gets it". I am also curious for you loyal, wonderful readers...what kind of posts do you enjoy reading most? What do you want to know about me/my life?? What makes you laugh? How do you maintain your originality when you are creating your posts? Have you made the decision to sponsor other blogs...was it worth it? Have you ever been to Funkytown? This happened to me this summer, hence, the little departure from Blogger. I think it happens. I actually went to a football game and got recognized for my blog at a tailgate and I had NO earthly clue who the sweet girl was. Anyway! It happens...I try to use my blog as positivity and something for you girls to giggle at, ME! haha. Hope you have a great time at Keeneland this weekend too!!! oh yup i am in a funk right now, the last couple days actually. it is a personal funk and then usually it translates into a blog fun too. i go through phases of really liking my blog and then forcing myself to continue writing. dont worry it happens to all of us! 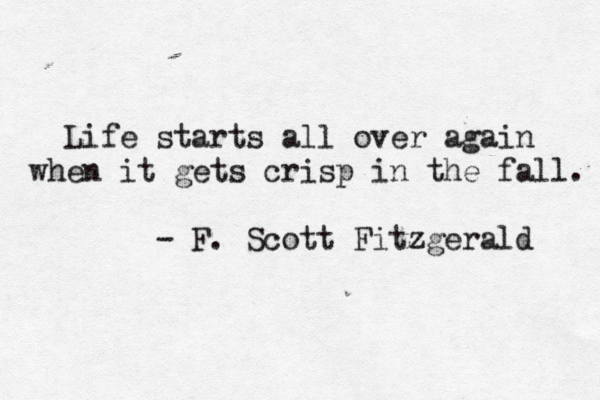 Oh I love that fall quote. I get in a funk every now and then. I think I just might be in one now. Whenever I'm in one, I need to go see a great movie, or a Broadway show...or something inspiring! The fall quote is great - and I get in a real blogging slump too. Sometimes weekly. I feel like sometimes all I do is link ups - but that's when I get the most readers. I do sponsor a few other blogs - and I'll let you know in a few months if it's something I'd continue doing. 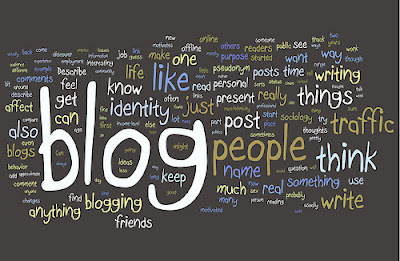 I'm a little iffy about it - but keep blogging for you. I'm constantly going in and out of funkytown with my blog, as I mentioned yesterday. And I really appreciated your comment on my post about envy in running because I felt so selfish writing the post because I shouldn't be envious, but in reality I am.